Superdry women’s Josie cold shoulder top. 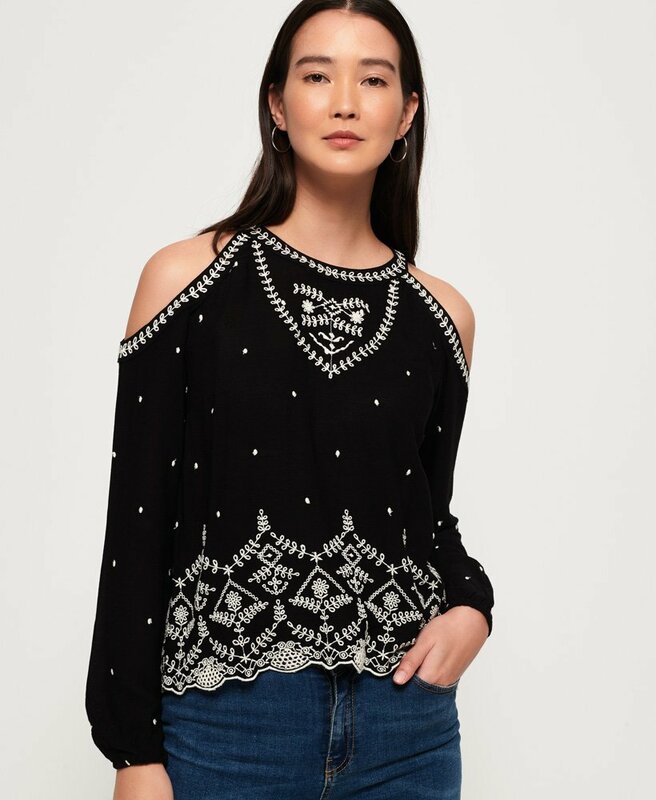 This cold shoulder top features a flattering high neckline with embroidered detailing, ¾ length sleeves and a button fastening on the reverse. The look is finished with elasticated cuffs on the sleeves, a scallop hem with a metal Superdry logo badge.